For decades the PKK marxist Kurdish guerillas had been resisting on behalf of the heavily repressed and ‘disappeared’ 18 million kurds in SE Turkey. 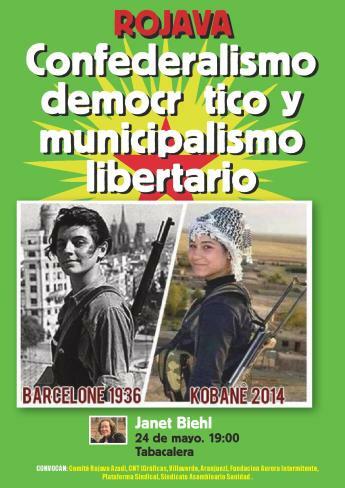 Now they adopted municipal anarchism, dropped the demand for a new state and called a lasting ceasefire. 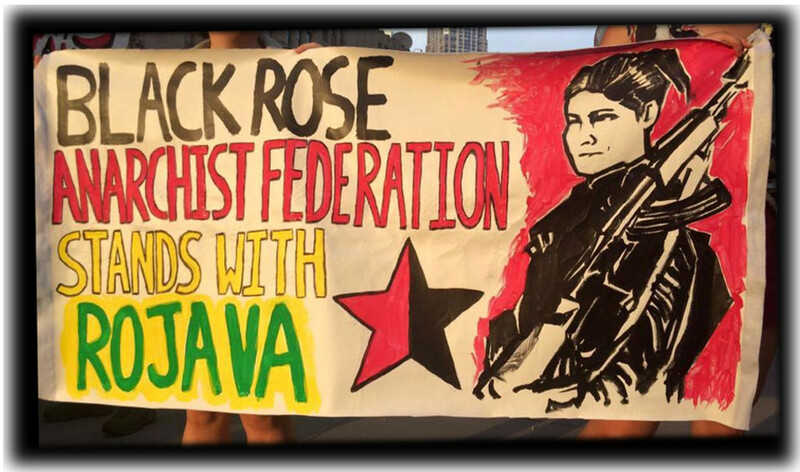 While Ocalan and others negotiated an exciting ‘Kurdish Spring’ began in Turkey, resembling an anarcha-feminist social revolution. But when Kurdish led parties won many seats in the 2015 elections the budding dictator Erdogan attacked the Kurds to gain votes and when the PKK was forced to respond launched an all out military campaign against the ‘Kurdish Spring’. For once it was an advantage to be scattered across borders, and many youths escaped south to join those in Rojava, northern Syria, and create the hugely progressive, multi racial, ecological and feminist Rojava Revolution, under the noses of the heavily armed Turkish, Syrian, US,Russian states and all their assorted jihadi militias. In a series dedicated to anarcho-syndicalism, autonomies shares Murray Bookchin’s critical reflections on this tradition within anarchism, in the excellent essay, “The Ghost of Anarcho-Syndicalism”. 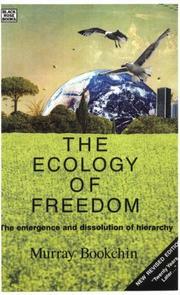 ”Murray Bookchin was one of North America’s most important ecological voices. Active in the ecology movement for over thirty years, he authored more than a dozen books on urbanism, ecology, technology and philosophy. Janet Biehl is the author of The Politics of Social Ecology (Black Rose Books) and Ecology or Catastrophe: The Life of Murray Bookchin (Oxford University Press). She lives in Burlington, Vermont. 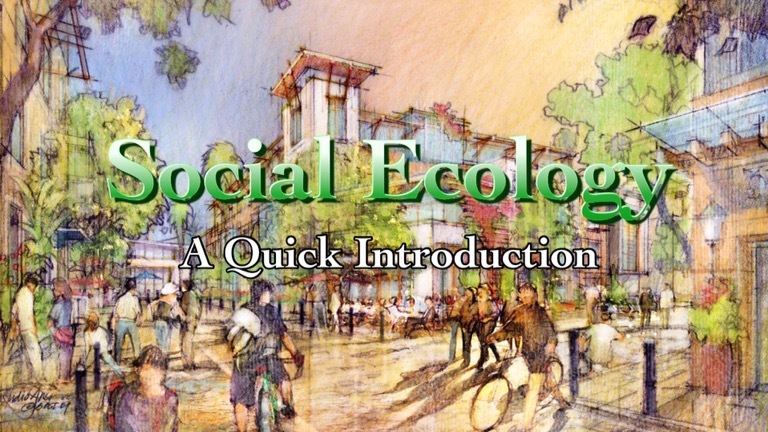 Bookchin was the first to propose, in the body of ideas that he has called “social ecology“, that a liberatory society would also have to be an ecological one. His writings span five decades and a wide range of subject matter. 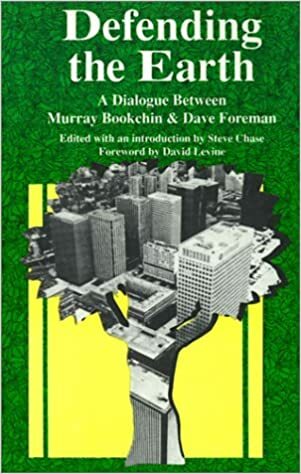 Bookchin’s writings on revolutionary philosophy, politics and history are less known than the specific controversies that have surrounded him, but deserve possibly greater attention. Despite his critical engagement with both Marxism and anarchism, his political philosophy, known as libertarian municipalism, draws on the best of both for the emancipatory tools to build a democratic libertarian alternative. Consistent throughout his work is a search for ways in which to replace today’s capitalist society with a more rational and humane alternative”. Please visit the friendly community at /r/Communalists for further discussion. 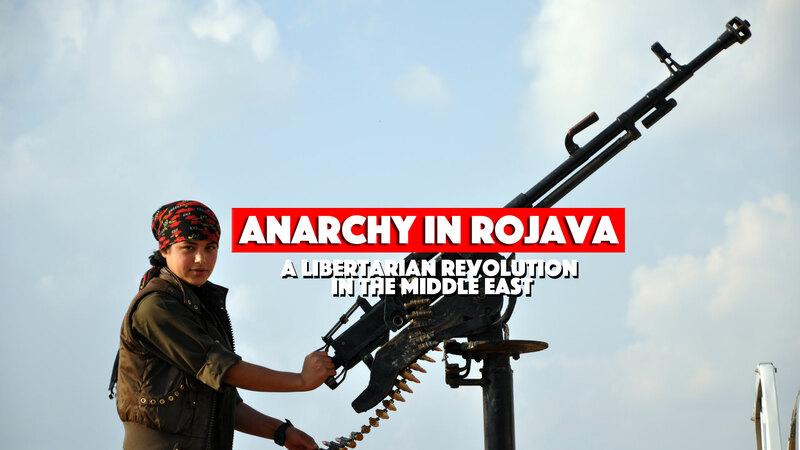 PDF]The Rojava Revolution ANARCHISM IN THE MIDDLE EAST by the work of Murray Bookchin. 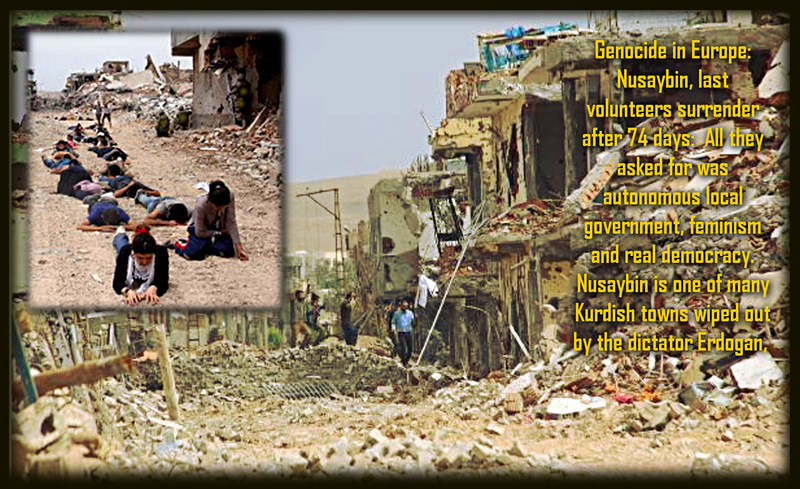 What we see in Rojava today is anarchism in practice. Each Canton subscribes to a constitution that affirms a society free from…..